Frame your skyline. 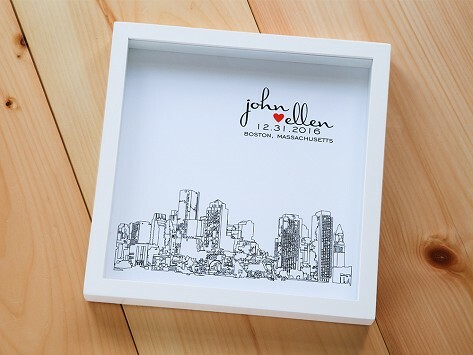 This custom map art showcases a simple sketch of your favorite skyline, a date, and the name(s) you choose. 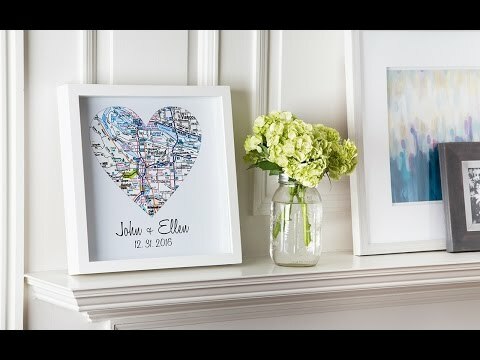 The entire design is given dimension inside a shadow box frame. Celebrate a wedding, graduation, anniversary, or special occasion by giving them unlimited access to their favorite view. got this in black for my son and daughter-in-law, i loved it and so did they! My husband loved his gift. The entire experience was a pleasure, the communication around the proof was quick and easy. The box was well wrapped and shipped in a timely manner. I am so happy with my order, absolutely beautiful. The service was beyond great. Thank you for spending so much time with me so I could get the design just right. Fantastic work !! I will definitely be ordering more items from you. Again, thank you so much. I absolutely love my new print! It turned out beautifully!! Get loads of compliments! Highly recommend!